In accordance with the provisions of Article 2, Article 3 and Article 8 of the Law on Public Holidays ("Official Gazette of Republic of Srpska", No. 43/07) and Article 52 of the AAARS Statute ( No. 237 / 16 from July 14th 2017), Association of Accountants and Auditors of Republic of Srpska headquarters will not be open on January 1st, 2nd, 6th, 7th , 8 th and 9th 2019 , due to the New Year, Christmas and Nacional holidays.. In accordance with the provisions of Article 2 and Article 3 of the Law on Public Holidays ("Official Gazette of Republic of Srpska", No. 43/07) and Article 52 of the AAARS Statute ( No. 237 / 16 from July 14th 2016), Association of Accountants and Auditors of Republic of Srpska headquarters will not be open on November 21st, due to national holiday.. In accordance with the provisions of Article 2, Article 3 and Article 8 of the Law on Public Holidays ("Official Gazette of Republic of Srpska", No. 43/07) and Article 52 of the AAARS Statute ( No. 237 / 16 from July 14th 2017), Association of Accountants and Auditors of Republic of Srpska headquarters will not be open on January 1st, 2nd, 6th, 7th, 8th and 9th 2018, due to the New Year, Christmas and Nacional holidays..
Association of Accountants and Auditors of Republic of Srpska Office will be closed on April 14th - 17th due to Easter holidays, and on May 1st, 2nd and 9th due to national holidays. In accordance with the provisions of Article 2, Article 3 and Article 8 of the Law on Public Holidays ("Official Gazette of Republic of Srpska", No. 43/07) and Article 52 of the AAARS Statute ( No. 130 / 12 from February 28th 2012), Association of Accountants and Auditors of Republic of Srpska headquarters will not be open on January 1st, 2nd, 6th, 7th and 9th , due to the New Year, Christmas and Nacional holidays.. In accordance with the provisions of Article 2 and Article 3 of the Law on Public Holidays ("Official Gazette of Republic of Srpska", No. 43/07) and Article 52 of the AAARS Statute ( No. 237 / 16 from July 14th 2016), Association of Accountants and Auditors of Republic of Srpska headquarters will not be open on November 21st, due to national holiday. Association of Accountants and Auditors of Republic of Srpska Office will be closed on April 29th - May 1st due to Easter holidays, and on May 1st, 2nd and 9th due to national holidays. In accordance with the provisions of Article 2, Article 3 and Article 8 of the Law on Public Holidays ("Official Gazette of Republic of Srpska", No. 43/07) and Article 52 of the AAARS Statute ( No. 130 / 12 from February 28th 2012), Association of Accountants and Auditors of Republic of Srpska headquarters will not be open on January 1st, 2nd, 6th, 7th, 8th and 9th , due to the New Year, Christmas and Nacional holidays.. Conclusions of the 19th International Congress of Accountants and Auditors of Republic of Srpska, held at Banja Vrucica, 24-26 September 2015. Association of Accountants and Auditors of Republic of Srpska Office will be closed on April 10th - 13th due to Easter holidays, and on May 1st, 2nd and 9th due to national holidays.. The Association of Accountants and Auditors of Republic of Srpska will use collective summer vacation from the 1st of August till the 20th August 2014. Association of Accountants and Auditors of Republic of Srpska Office will be closed on April 18th - 21th due to Easter holidays, and on May 1st, 2nd and 9th due to national holidays. Staff of Association of Accountants and Auditors of Republic of Srpska will be on collective annual leave from July 29th to August 18th 2013. In this period AAARS office will not be open. In accordance with the provisions of Article 2 and Article 3 of the Law on Public Holidays ("Official Gazette of Republic of Srpska", No. 43/07) and Article 52 of the AAARS Statute ( No. 130 / 12 from February 28th 2012), Association of Accountants and Auditors of Republic of Srpska headquarters will not be open on May 9th, due to national holiday. IFAC (International Federation of Accountants) at its Council meeting held in Kuala Lumpur, Malaysia on November the 5th, accepted in full membership Association of Accountants and Auditors of Republic of Srpska (AAARS) as its 141st member. On the photo from right to the left are PhD Dragan Mikerevic, President of AAARS; Ian Ball ,executive officer of IFAC; Robert L. Bunting, President of IFAC, Finance Minister of Republic of Srpska Aleksandar Džombic and PhD Novak Kondic, Secretary General of AAARS. 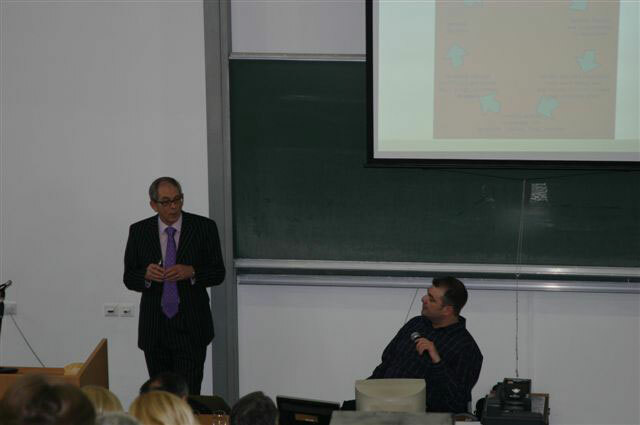 Photos from seminar ”Risk Assessment”. The continual education seminar titled The application of IAS/IFRS in the light of the new RS Law on Accountancy and Audit, introduction into the international accountancy standard for SME's and topicalities in tax regulations application will take place in 11 towns in RS from 16 to 28 November, 2009. The exams for acquiring the professional titles of Certified Auditor, Certified Accountant and Certified Accounting Technician will take place in Banja Luka College amphitheatre from 9 to 13 November, 2009. The instructive course for acquiring the title of Certified Appraiser will take place at the Faculty of Economics in Banja Luka (hall 4) from 6 November to 12 December, 2009. The exams will take place in Sarajevo, Banja Luka and Mostar in accordance with the given timetable. The venue and time of the course have been changed and therefore it will take place at AAARS Banja Luka premises in accordance with the timetable provided. Decision on the List of Indicators"
Pursuant to its Statute and Regulations, AAARS organizes the instructive course and exam for acquiring the title of Certified Appraiser. The candidates interested in acquiring this professional title are invited to file an application by email or fax. The course will take place in the last quarter of 2009 provided the minimum of 30 candidates apply. Application deadline is 15/10/2009. Pursuant to article 5(2) of the BIH Law on Accountancy and Audit, BIH Commission for Accountancy and Audit in its session held on 24 Avgust, 2009 made the decision on organization of the exams for all professional accountancy levels in all 14 subjects required. 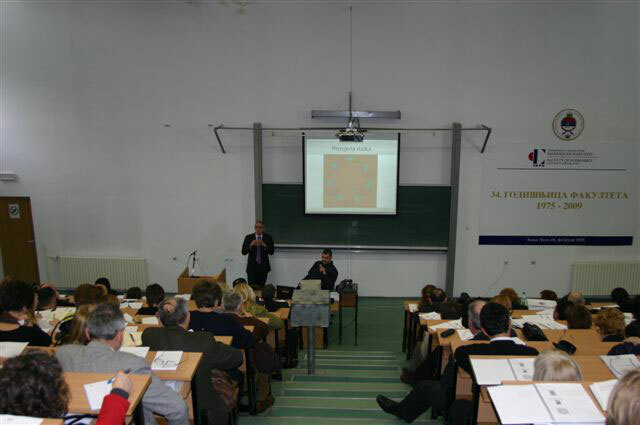 The exams will take place in Mostar, Sarajevo and Banja Luka on November 9-13, 2009. Pursuant to articles 3 and 7 of the BIH Law on Accountancy and Audit, BIH Commission for Accountancy and Audit announces the public call for provision of training to accountancy profession candidates in accordance with the Integral Program in the subjects required. Unauthorized copying of the contents of this website in whole or any part of his without the consent of union is prohibited.